Our Adobe Launch integration allows you to quickly and seamlessly deploy Decibel on your web properties. Additional advanced configurations may also be deployed using Rules and Actions made available by Decibel. 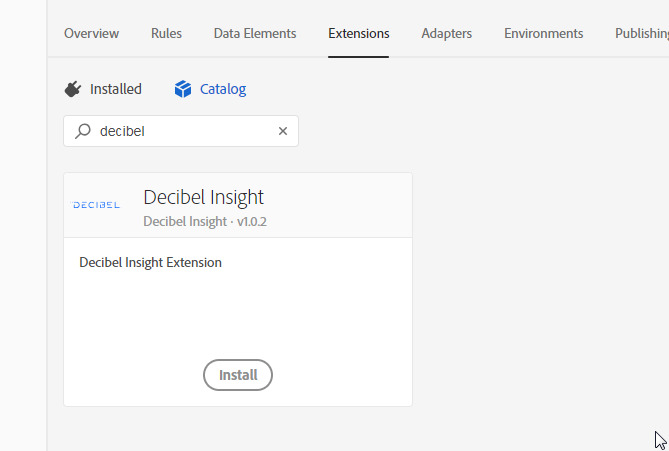 Login into Adobe Launch and go to Extensions > Catalog and search for Decibel. Click Install. Once activated, you will need to configure the Extension to associate it with your Decibel instance. 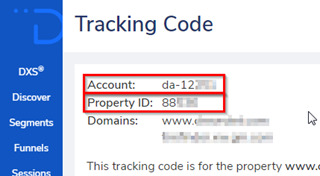 SaaS clients will need to add their Account Id and Property Id, which can be found in the Tracking Code page of our reporting portal. For clients using a Hosted Tag or On-prem implementation, please select the Self-Hosted option and provide the Domain and Tracking Script Path. Once your details have been added, click Save in Adobe Launch. What does the Extension include? 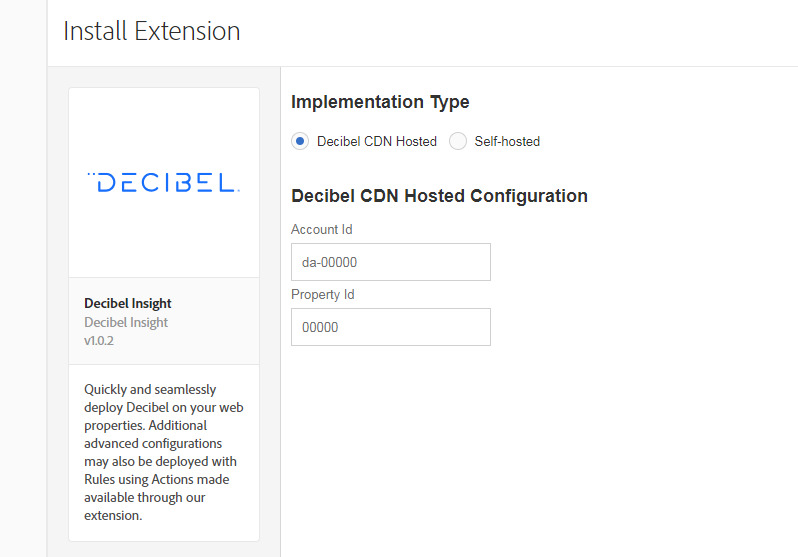 Our Adobe Launch extension provides a comprehensive set of features to allow you to effectively manage your Decibel deployment as well as easy to use Actions that allow you to configure advanced configurations, which usually require developer resources. The following events are made available which can be used as triggers for Actions in Launch. Events are the 'If' portion of a rule. The following Actions are made available. Actions are the 'Then' portion of a rule. When an event is triggered, if conditions evaluate to true and exceptions evaluate to false, the actions are performed. You can drag and drop actions to order them as desired.